The mod will let you go to 24 slots by default. The reason for this is to help limit performance issues on lower-end machines. However since it's not my place to decide where your limits are, you can indeed override this by adding "true" to the end of your command. The experimental version no longer exists as Maxis fixed their portrait generation and the game no longer crashes. Feel free to add as many sims as you can handle. The amount of sims you can have without performance issues depends heavily on your computer's abilities. 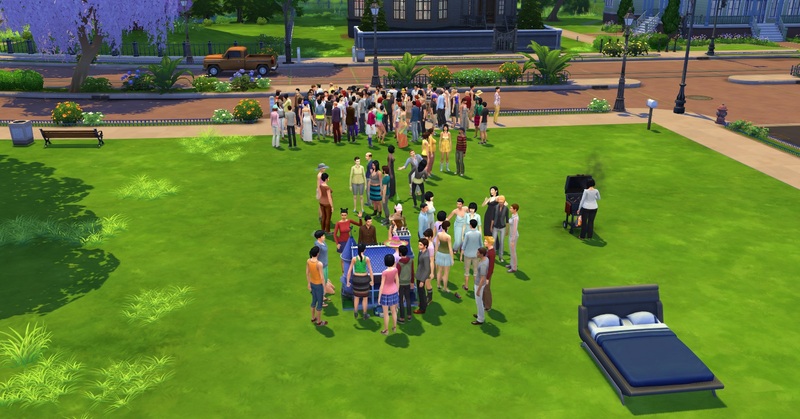 You can not edit a fullhouse family in CAS, as it will cut the family size back down to 8. Below are alternatives for managing fullhouse households. Create a Household: Click on a lot and select Create Household there instead. Place Existing Household: Click on a lot and select Create Household. Then from CAS, load the household from the gallery/library. 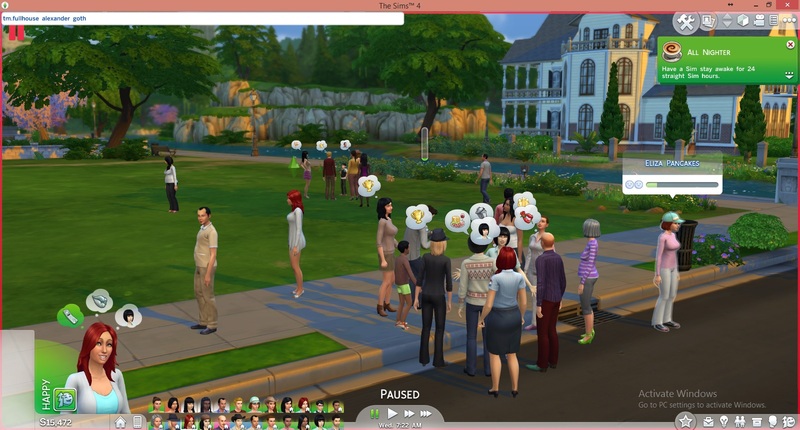 Delete a Sim: Only 8 sims will show up in CAS. To delete extra sims, use the included tm.deletesim command. 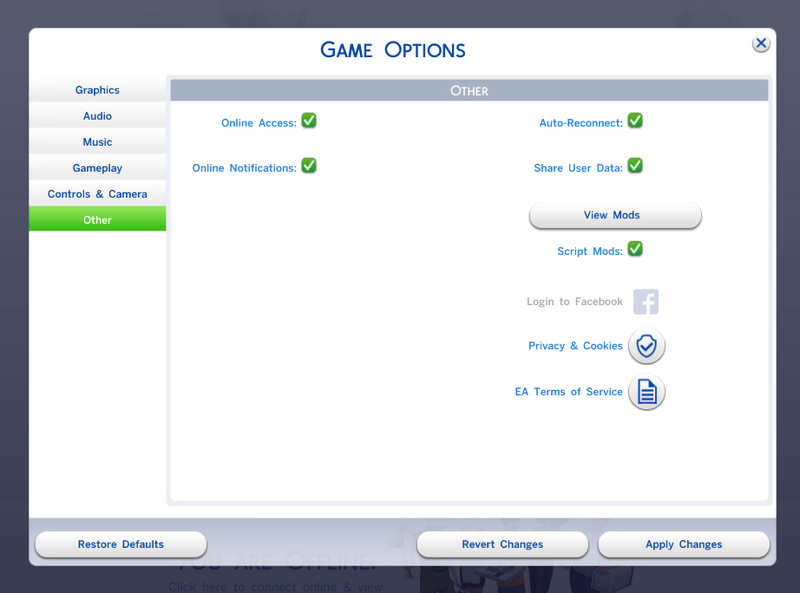 Edit a Sim: You can not edit a sim while they're part of an extended household. Doing so will remove all but 8 sims. NOTE: This is a script mod. You must have script mods turned on in your gameplay options > "Other" tab. The mod must be left zipped! and you must be on the latest patch for them to function. New patches may disable the script mod in gameplay options. tmex-fullhouse-stable.zip | Description: Allows you to have households up to 24 slots or more with override. Stable release.